You are Welcome. 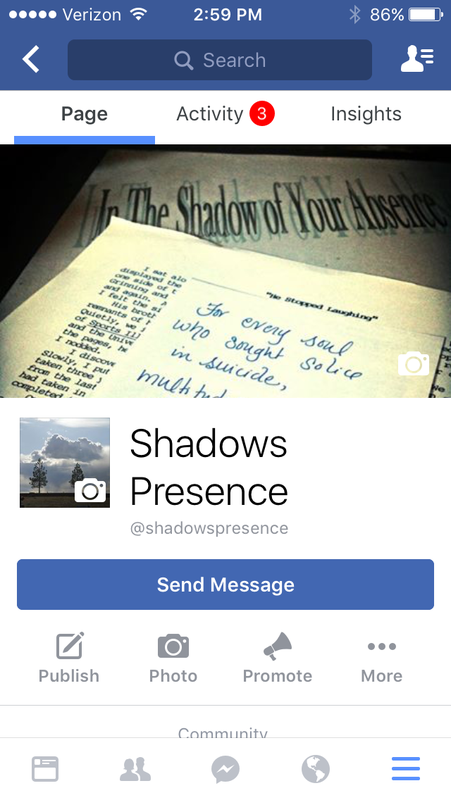 We invite you…Join our Shadows Presence FB Community Page. If you know someone in fresh grief who you’re walking alongside or if you’re grieving a loved one, we encourage you to join us. We’re not here to get stuck in unending, all-compassing sadness. But stepping through the dark, hard times is part of the journey. As we hear each other’s story, we find words to process our own journey. We’re here to remember. Recognize the darkness. Process. Present Joys, past sorrows… & the existing (sometimes taunt) tension. See & steep in the Light. Sharing & Living Hope. You’re participation may be quiet, notes behind the scenes, or you may be more ready to add your voice. Somewhere along the way, you may also invite family & friends. We welcome you wherever you are. Here’s to Living Hope…together.